Awwww guys we are at the final installation of my Body Shop series! 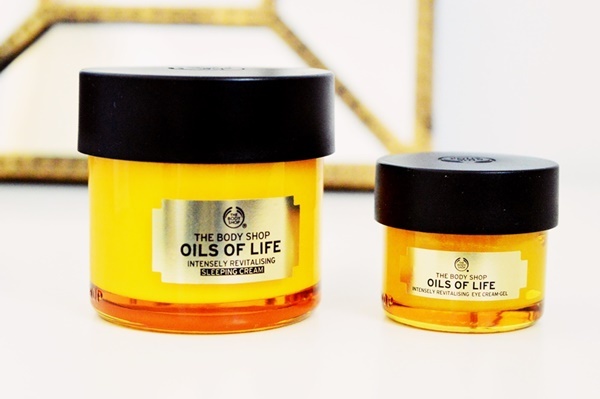 Honestly though, I am typing this while I am sitting in bed with (what I think is) pharyngitis and this Oils of Life range is the only niceness I had in my entire weekend. Anyway, enough of me feeling sorry for myself. 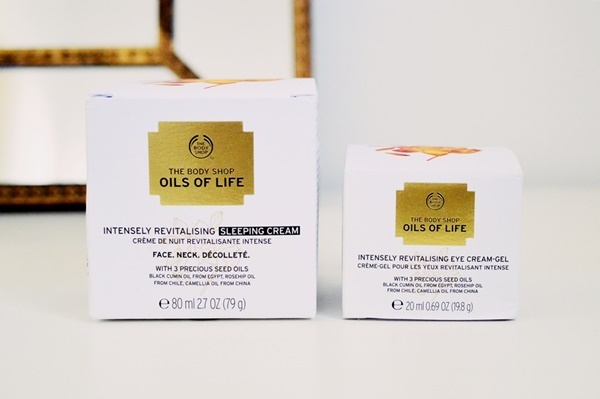 The Oils of Life range is a relatively new range to The Body Shop and it is heart meltingly gorgeous. GORGEOUS! I never thought I would love a mask’s scent as much as I love the Amazonian Acai Energising Radiance masks’ scent. But this is a close second.. if not as amazing.. in a totally different way. Eeep. Stop it now The Body Shop! So the Oils of Life range consists of nine products and I will be featuring three here. I was lucky enough to be sent three items from the range which stood out the most to me. So lets get in there! Starting with the product which just blew my mind. This is the one which smells like I don’t even know what. 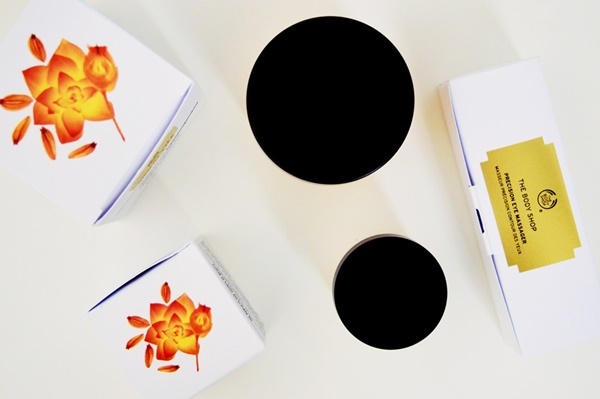 The three infused precious seed oils in this range are Black Cumin seed oil from Egypt, Camellia seed oil from China and Rosehip seed oil from Chile. These were chosen for their revitalising and repairing properties on skin while still having a lightweight consistency. Moving on, I think the reason I was so extra happy with this mask is because I generally do not like sleeping masks. I don’t know what it is, but I would prefer to wash my mask off and admire my lovely just-masked face, instead of sleeping in it. Buuut this is just something else. I think because it smells so fresh, and feels immediately refreshing on the skin, I don’t put this into the same category as previously tried sleeping masks. So that is all fine and well, but how did I benefit? I fully noticed that my skin was softer and more supple the next day. I like to remove the residue of the mask with a scorching hot face cloth (you shouldn’t really use scorching hot water on your face, but YOLO) and I find that really leaves my face feeling extra soft. Due to having a raging face mask addiction, I have used this mask about five times over two weeks. I have not yet noticed the “reduced appearing of ageing” but I am sure this can be achieved with more frequent use. I will 100% vouch for your face feeling and looking for rested, healthy and revitalised. A really interesting that I noticed was it is also a warming mask and heats up nicely on the skin. 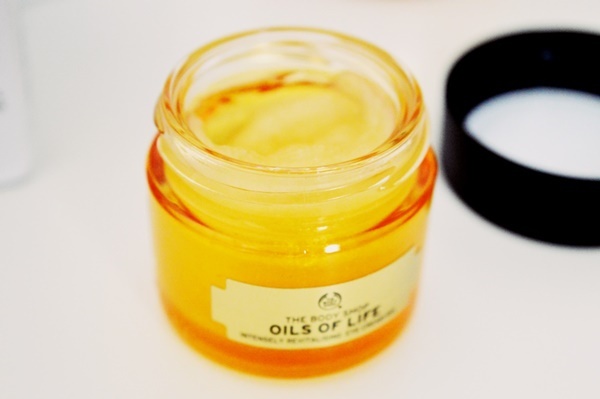 You can purchase the Oils of Life Sleeping Cream for R330 for the 80ml tub. Most face masks come in sizes of 30ml or 50ml this is much larger than the usual! This mask is available on shelves now. The next two items are to be used in conjunction or separately but – as usual – they work best used together. Pretty much repeating myself here but I am soooo loving this eye mask/cream! I have a major mask obsession but eye masks are just something I have never really kept an eye out for. This Oils of Life Eye Cream Gel (R200) has the same three key seed oils as as the sleeping mask, but it does not smell the same. It still smells great, but not identical. I love this though, it makes it clear that The Body Shop is not just repackaging the same products in smaller tubs and marketing them as different products. I am SO scrutinizing with skincare and I will not be surprised if it is ever proven that companies do this. The eye mask can be used either as a cream gel OR as a mask. I choose the second option because, as I said I love masks. But I also feel like your skin will be benefiting so much more from a deeply intensely nourishing eye mask. The mask option is recommended to be used for five minutes, but I would definitely recommend taking a little bit of extra “me time” and leave it on for about ten minutes. As much as I hate to sound like a stuck record, I ADORE this. It does every single thing it claims. I cannot put my finger on it but my under eyes were almost “puffy”. This is a terrible description because puffy is the LAST thing you want when it comes to eyes! The best I could describe it is that my undereyes were revitalised, healthy and supple. Usually my undereyes are dry and tight and just, ugh, so so CREASY. I definitely felt the hydration surge after using this just once – no exaggeration. Now, if you want to be REALLY bougie (of course you do), then keep on reading. 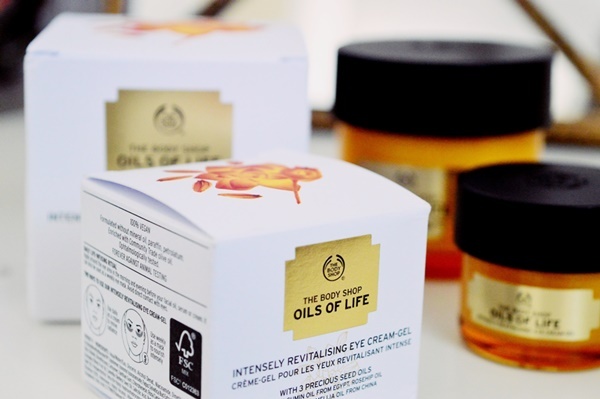 Another top drawer product from The Body Shop is the Oils of Life Eye Massager. You will really really reap all the benefits of any and all eyecreams/asks if you are using it in conjunction with an eye massager. It retails at R185 which I think is bloody amazing. The little metal ball – as you can see in the images – magically attaches (okay, it is a magnet) to the spatula part. Therefore you use the spatula to retrieve product, apply to your face, ,and massage into the delicate under eye skin area. I would love to end this post on my final recommendation out of the two but no can-do. I am sitting with the sleeping mask on my face right now and just soaking in the pure gloriouness. But then I think about how great the eye mask has felt every single time I have used it. And here we are again. You will just have to test them both out yourself! Definitely want to try to the eye mask and massager. It sounds like a dream. Thanks a lot once again for causing me to plan how I’ll spend my paycheck, before I even get it! hahaha!